On their third album, a contractually-obligated effort, Atheist continue their unique quest to marry good jazz to robust metal. The outcome is Elements, a CD that manages that mix as best at it can be managed, but whether the concept is fundamentally a good idea remains highly questionable. The album was thrown together by Kelly Shaefer to satisfy a label requirement, cobbling together a line-up, writing the material, recording and producing all in about 40 days. Nine of the twelve tracks on Elements have a meaningful length, and all are united by the theme of the earth's basic building blocks, with some of the musical embellishments channeling the subject matter. 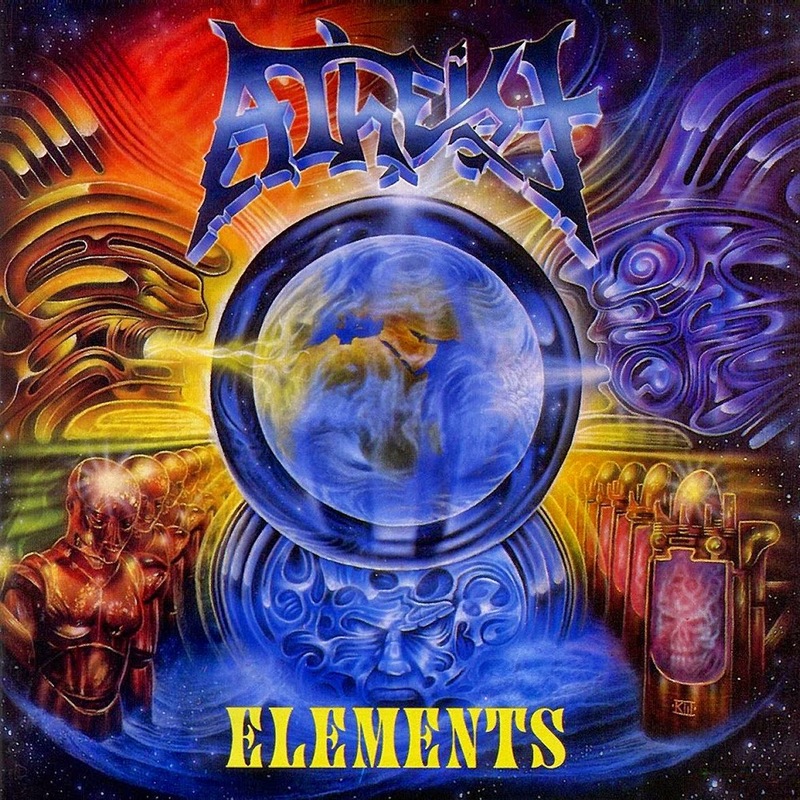 Air is by far the most potent track, and achieves the most metallic composition while retaining strong jazz shadings. Samba Briza is short but infectiously good, delivering exactly what it says on the can, an irresistible dance tune that demands a hot Caribbean night. Animal settles into a thick groove, possibly benefiting as the most metal and least jazz cut on the album. Elsewhere the content settles into predictable jazz arrangements bulked up by metallic content, and delivered with the band's customary sparse airiness. Good as it is, it remains more of an interesting experiment than an unqualified success. Michael Dissantos replaced Greenbaum on drums after recording but prior to release. Produced by Atheist and Mark Pinske. Engineered by Mike Pinske. Mixed by Mike Pinske and Kelly Shaeffer.